Wheatgrass is a nutritious supplement that provides vitamins beneficial to your health and well being. Drinking juiced wheatgrass can rid the body of toxins and boost your immune system. 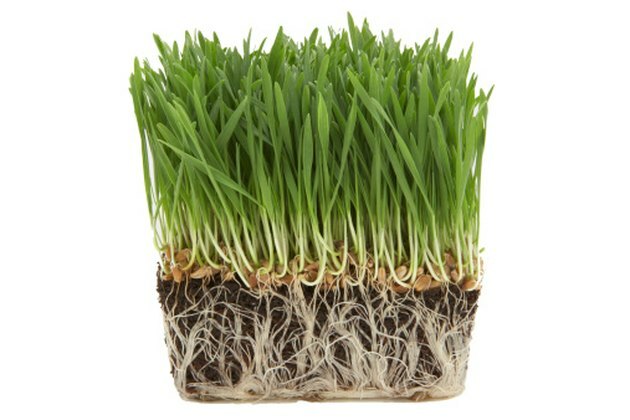 Once you plant your wheatgrass seeds, you will begin to see the grass sprouting in seven to 10 days. Wheatgrass can be grown either indoors or out; however, it doesn't need sunlight to grow, and is best grown indoors to protect it from pests. 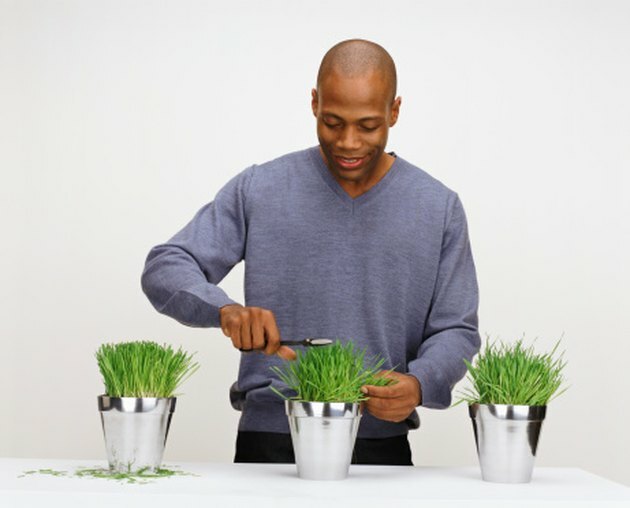 Caring for your wheatgrass is a simple process. Wheatgrass will grow well in temperatures not exceeding 90 degrees. 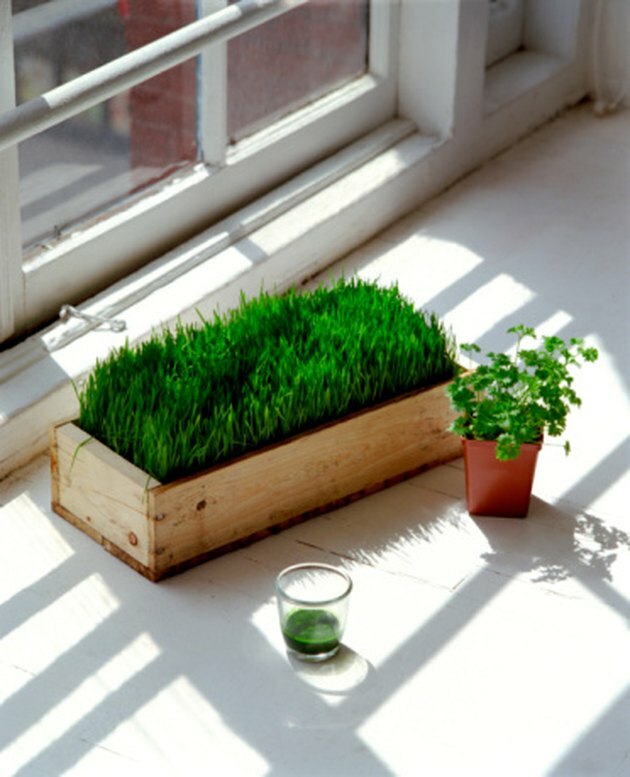 Place your wheatgrass in an area in your home with low-light and regulated temperatures of 60 to 70 degrees Fahrenheit. Set a time each day to water your wheatgrass. 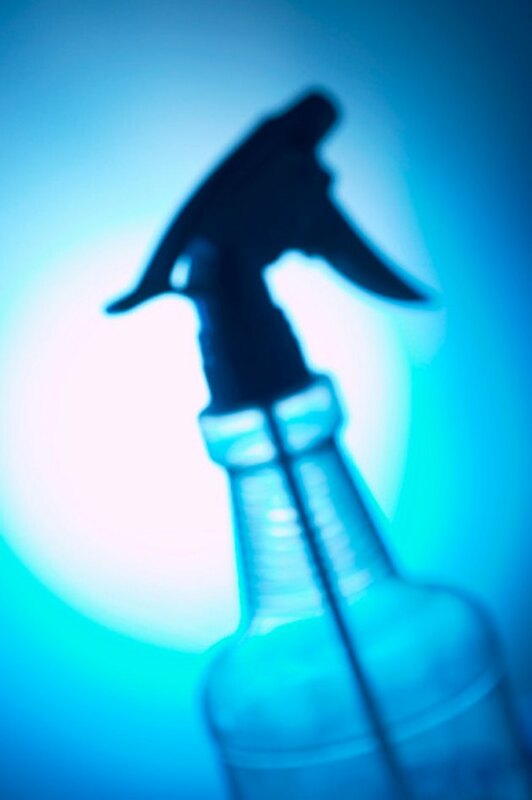 Water your wheatgrass sprouts two times a day misting with a spray bottle until their roots are established in the soil. Once the blades emerge, water the soil from the side of container to keep the soil moist and water off of the blades. Two feedings per tray should be enough. Do not over-fertilize. Fertilize the wheatgrass with a liquid seaweed fertilizer when the blades are 1 to 3 centimeters tall. Fertilize again when the grass is 5 to 10 centimeters tall. Follow the directions on the manufacturer's label for the correct amount to use. You can cut blades of your wheatgrass to juice. Begin cutting blades for juicing when the blades reach 7 inches. Cut the blade completely down to the soil. Reduce the amount of water eight to 12 hours before placing the wheatgrass in a sealed container in the refrigerator to keep the wheatgrass fresh.